A brilliant new creation added to our line of Smart Home Devices, and a great addition to any smart home. Think modern luxuries is just for the ultra-rich, with whom money is no object? The world has just become so much brighter with the introduction of the Iview Smart Bulb! Iview will turn your dream of a perfect smart home into reality. Go ahead, make a wish! to add color to your home? 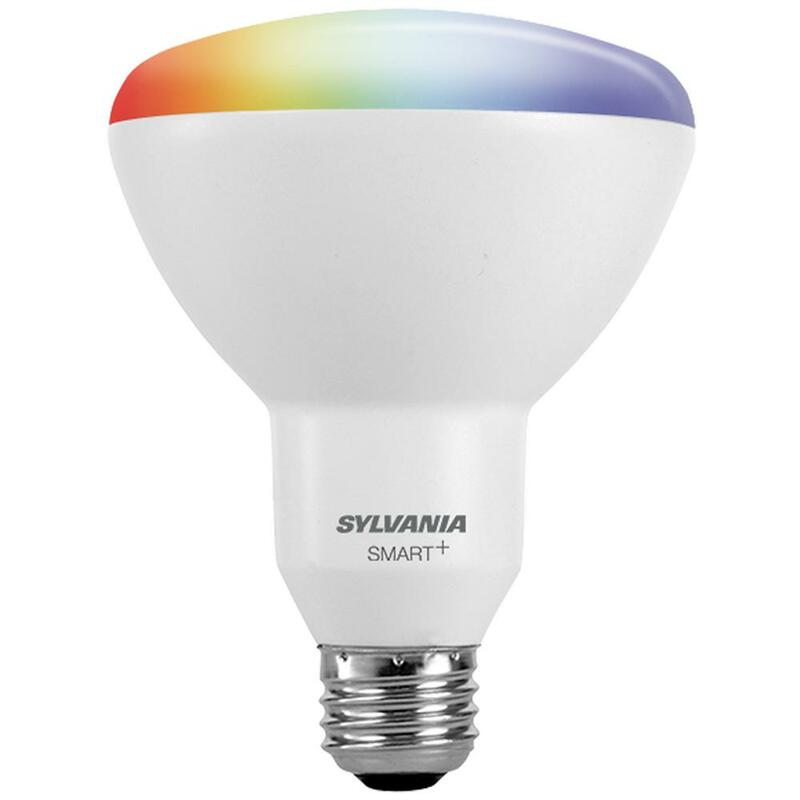 the best smart bulb for your money? Iview Genie: "Your wish is my command!" The iView Smart Bulb offers a robust suite of features, including app control, voice command, multicolor lighting, scheduling and energy efficiency. Control lighting in any part of your house with ease using your smart phone. Whether individually or in groups, IVIEW Smart Bulbs can be turned on/off, timed, and personalized via the IVIEW iHome app. The iView-ISB800 WiFi Smart Bulb is compatible with our very own Iview Genie, Amazon Alexa, or Google Assistant. Just speak up to dim or brighten the lights, and do other smart bulb adjustments absolutely hands-free! Our energy efficient Smart LED Bulbs can save up to 80% more energy than incandescents and will last a long, long time with an extended life of approximately 20,000 hours. The iView-ISB800 WiFi Smart LED Bulb is undeniably the coolest of smart light systems! Usability, responsiveness, convenience, big savings, sustainability, stylish lighting, plus an intuitive app. All these you can get at a cheaper price compared to other brands. IVIEW Smart Bulbs will illuminate your home without the sticker shock of LEDs. The only real difference is the cost, because less is more when it comes to Iview pricing. The Iview Smart Bulb arrives at a lowly market price, yet comes with extraneous features. How do we do it? Iview people are passionate about their jobs, customer-oriented, and cares about the world. Industry experts who love what they do working together in one team results to the highest quality products at the most affordable prices. 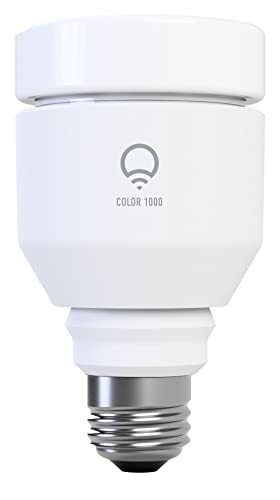 Size 4.9" x 2.3" 4.9" x 2.3" 5.25" x 2.8" 4.6" x 2.8" 4.0" x 2.4" 4.6" x 2.8" 4.53" x 2.48"
Smart lighting generally runs on a network of smart bulbs that are wirelessly connected to a router. Each smart bulb can then be controlled by a hub designed to be plugged into your router. Wireless communication standards often used are Bluetooth smart light bulbs or Zigbee. The hub enables networked devices, i.e. your smartphone or tablet, to communicate with the smart bulbs. How Do Smart Bulbs Work With Switches? Now you may be wondering how a smart bulb differs from a smart switch. Switches work with any type of bulb and are often used for special lighting systems with smaller sizes like candelabras. Installing smart switches would mean swapping your old light switch and fiddling with your home's wiring. Scaling your lighting system up entails more effort and won't be as cost efficient compared to simply changing your old light bulb into a smart bulb. Some brands are notorious for causing frustration on a confusing initial smart bulb or smart switch setup, as seen in smart light bulbs reviews found online. What's the point of getting smart lighting solutions that will only make your life difficult, instead of the other way around? How Do Smart Bulbs Work at iView? Iview Smart LEDs are the light bulbs of the future. Our bulbs are crafted with the highest standards and the latest technology with you, the customer, in mind. Discover how the iView-ISB800 works and all its unique features that can make your life easier and a bit more fun! iView-ISB800 does away with the need for a hub, providing the quickest and easiest way to incorporate the new lighting into any smart home setup. Overall, the cost of scaling up with an Iview smart bulb is fairly low. You won't have to pay for a separate networking device or subscription service. Installation is a virtually painless task. Our smart bulb fits perfectly into existing fixtures like your standard light bulb. Unscrew like you would the traditional bulb should you wish to move your multicolor bulb to another room or fixture. The Iview Smart Bulb will effectively illuminate and blend in with bigger smart home plans you may have. With support for wifi 802.11 b/g/n, the Iview Smart Bulb works with any home router. Once set, you immediately reap the benefits of using an LED smart bulb. The choice is yours out of a myriad of ways you can remotely control your Iview Smart Bulb. Setting up your Iview Smart Bulb is as easy as 1-2-3. Install the app. Download the iView iHome:FREE APP on your iOS/Android phone or tablet. Connect over Wi-Fi. Secure the smart bulb connection to your home wifi router. Get total control. Get ready to play and see light differently! Change colors, set your preferred brightness, create timers, and do a whole lot more. Unlike bluetooth-connected bulbs, coverage range doesn't matter at all when you have an Iview smart bulb. The best part? You don't even have to be at home. Connect and control youriView-ISB800 from anywhere in the world, wherever internet access is available. Enjoy the added security, convenience, and savings the Iview Smart Bulb app control feature brings. Manage your smart light bulbs from any room of your house, when at work or while on vacation. You can always be certain your lighting is switched off when not in use, and switched back on in an instant right when you need it. Most importantly, you gain much-needed peace of mind whenever you're away from home with a bright home that doesn't appear vacant. You know how inconvenient it is to plop right in bed, or get comfy on the couch for movie night, only to realize the lights are still on. What if by the littlest chance, you don't have your phone? You've got the IVIEW Genie to back you up. Our genie is pretty much like a magical lamp, only you get unlimited wishes! Start off by saying "Genie, turn on the light." The Iview LED smart bulb will respond to your every whim. Adjust the brightness and cycle through the colors of the rainbow through your Iview Genie. Why not give your wifi light bulb Alexa-compatible Iview smart bulb a name and communicate directly via voice command? Your Iview Home Assistant Genie makes it possible. Experience the freedom to set your lighting exactly the way you want it, all without ever touching the light switch. The Iview Smart Bulb supports both Alexa and Google home. Control your home lighting system absolutely hands-free! Enable the iView iHome skill in your Alexa/Google APP to have commands fulfilled through your wifi smart light bulbs Amazon Echo smart speaker or by talking to your Google Assistant. Tired and half-asleep in bed, you can say "Google, dim the light!" or have it totally switched off for a good night's sleep. How do smart bulbs work with Alexa? Simple. Just tell her what to do. Say "Alexa, turn on the living room lights!" Iview brings state-of-the-art LED technology to places where there's little sunlight. You won't have to live gloomy days at home nor work for hours in a poorly-lit home office. Our Iview Smart Bulb will brighten areas of your home with natural-looking light. Brightness and color temperature levels can be adjusted according to your lighting requirements when reading, cooking meals, or unwinding after a hectic day at work. Fine-tune your home lighting system with the dimmable iView-ISB800. Encourage a calm atmosphere in baby's room by dimming the lights. Create a theater scene for family movie night. Command your smart bulb to emit low lighting in the backdrop for a romantic dinner at home. Customize your Iview smart lighting system to slowly dim at night, then use it as a wake-up light that illuminates gradually and changes hues to help energize your day. You'll never know how big an impact lighting hues can make until you experience it firsthand. Just think of how easy it would be to add color to your home! Set to yellow to make your home interior warm and inviting, and make food appear even more mouthwatering for guests. Give your kitchen a makeover with a new color theme. Set to blue for a cooler and more relaxing effect. The Iview Smart Bulb can liven up a party and keep guests entertained with bright, colorful lights. Beautiful lighting can make a statement on its own without the need for extravagant decorations. It can transform any room into a fabulous entertainment space in an instant. Change colors to suit any occasion, match your mood and lift up your spirits. Talk to Alexa, Google, or your Iview Genie to make children's bedtime an enjoyable experience, and mornings something to look forward to everyday! Lighting can be controlled one smart bulb at a time or in smart Wi-Fi LED bulb groups. Create a group for your smart home collection, power up in sequences, or control your entire home lighting in a single command. Pairing with the Iview is of course, easier and cheaper without the need for a hub. Program preset times or countdowns on your Iview Smart Bulb within the IVIEW iHome app in a breeze. Connect via our free mobile app and create a schedule that suits your needs best. Just set and forget. You can also put your IView Genie, Amazon Alexa or Google Assistant to work for more convenient scheduling on your Iview Smart Wi-Fi Light Bulb. As you desire, light up your living space, dining area, master bedroom, based on your daily routine. Schedule the Iview smart bulb to keep up with your busy, fast-paced lifestyle. Set lights to turn on while you're away to serve as a deterrent upon giving the impression that someone's home. Get your typical 'lights off' time programmed to conserve energy. Share your custom setting with family members to instill the same energy-saving habits and make life easier for everyone! Today's smart devices can spare you the headache of a ridiculous electricity bill! But being smart is not just about saving your hard-earned money, but saving valuable resources. Protecting what we have now is the key to a better future. Equipped with a 9W LED light source with 800 lumens, you gain massive energy savings with the Iview smart bulb. Our LED lighting contributes up to 80% more energy savings compared to traditional incandescent bulbs, and 40% more savings than when using fluorescent lights. That accounts for each smart LED bulb used. Energy bills drop along with the demand from power plants. That's why every home that makes the switch to a smart bulb makes a huge difference! What's more remarkable is that you get the same level of lighting a 60W incandescent or 14W CFL yields when you opt for the Iview 9W 800lm LED. Light is focused where you want it, so no energy is wasted on unnecesarily illuminating areas such as ceilings. Did you know that Fluorescent lights mostly contain mercury? LED lights aren't classified as toxic and definitely safer to have at home. LEDs also emit the lowest heat at 3 btu's/hr, where CFLs are at 15 btu's/hr and incandescents at 85 btu's/hr. There's no danger of getting burnt when accidentally touching the smart bulb. By choosing the newer smart bulb lighting system, you've just saved yourself 3 (CFL) replacements and over 20 (Incandescent) bulb replacements! Less frequent replacements mean less maintenance, less hassle, and more time for what's truly important. The iView-ISB800 Smart LED Bulb puts the future right at your fingertips. Built to last for more than 20,000 working hours, it's the clear-cut winner in terms of energy consumption, maintenance and costs. Considering the longer-than-average lifespan of our smart bulb, we take this chance to prove ourselves to you. At Iview, you can expect to get the best smart lighting solutions at the best price! One exceptional Iview Smart Bulb has the power to simplify and beautify your life. Our high-performance, reliable, durable, cutting-edge, stylish yet affordable smart devices make us the top choice. It's exactly what Iview is all about. It's basically everything you'd need and want in a smart bulb. So don’t miss out! Plan your smart home now.